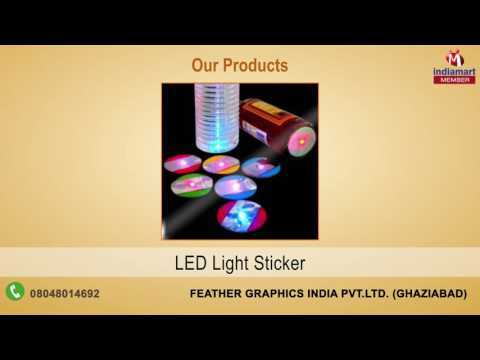 Founded in the year 1990, at Ghaziabad (Uttar Pradesh, India), we "Feather Graphics India Pvt. Ltd." are a well-known manufacturer and wholesaler of an exclusive array of PE Sticker And Membrane Keypad. These products are designed by our capable professionals using quality proven material like polycarbonate, polyester, aluminum etc. and advanced machines in agreement with the set international quality norms. Offered products are highly cherished among clients for their indispensable features such as perfect finish, colorfastness, high adhesion, excellent strength, smooth texture and chemical resistant properties. In order to meet needs of clients, we offer these products in various sizes and at market leading prices.